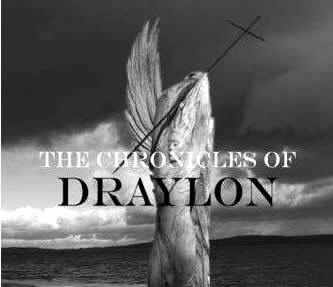 A couple of months had gone by and Adriana had not heard from Draylon at all. She missed him very much, but knew deep in her heart that she could never be with him despite her feelings. She decided that she was going to be strong, and she was going to move on, and start dating again. Adriana had been approached several times by Ronaldo Vega, whom also lived on Easter Island. He had asked her out on dates but she had always turned him down flat. Ronaldo was of average height, very lean, with olive skin and dark hair. Adriana found his brown eyes very seductive, and had it not been for her feelings for Draylon, she would have said yes to him many times. One day Ronaldo came into the supermarket where Adriana worked, and as per usual he flirted with her and asked her out on a date. Only this time he almost swallowed his tongue when she finally said yes. Weeks went by and Adriana was falling in love all over again. Ronaldo was very sweet to her, buying her flowers and chocolates, and taking her out to nice restaurants – she felt very happy. Ronaldo was starting to become quite affectionate towards Adriana, but she still felt a little uncomfortable, although, she was warming to him, and she told him to just be a little more patient with her. One evening she decided to go out for a walk to take in some fresh air and enjoy the stars in the night sky. She became tempted to pop into The Rongorongo Inn. She went up to the bar and ordered herself a coffee, and then sat down in a secluded corner dipping her complimentary biscuit into her drink. She overheard a couple that were drinking copiously and obviously very drunk, flirting and kissing, and she became quite embarrassed. She stood to leave, glancing in the direction of the couple. The man looked up, it was Ronaldo. Adriana ran out of the bar crying, wondering how such a perfect evening could turn out to be such a hurtful one. Ronaldo ran out after her. When he eventually caught her up, they argued and argued. Ronaldo started to become nasty and said, “Did you really expect me to keep waiting for you to open up?” Adriana found it hard to speak amongst her tears, “Yes, I thought you cared about me.” Ronaldo forced himself on Adriana suddenly, kissing her roughly and holding her so tight that she could barely breathe. Adriana struggled free and slapped him in the face with all of the energy that she could summon. Ronaldo reacted instantly, punching her in the eye and knocking her to the ground. He then walked off and left her there in pain crying on the ground. Adriana struggled off home, she was devastated and hurt, and her eye was starting to swell. She arrived at her home late. Everyone was in bed, so she sneaked into her room and sobbed into the night wishing Draylon was there to comfort her.